When we launched public booking in January 2019, 17.5% of La forza del destino tickets were available for the public to book online. When tickets were made available to the general public, just 38% of tickets for the spring booking period had been sold to ROH members. Across the run of La forza del destino, the Royal Opera House will issue approximately 500 tickets via our weekly Friday Rush ticketing scheme which ensures members of the public have access to our most popular productions every season at affordable prices. 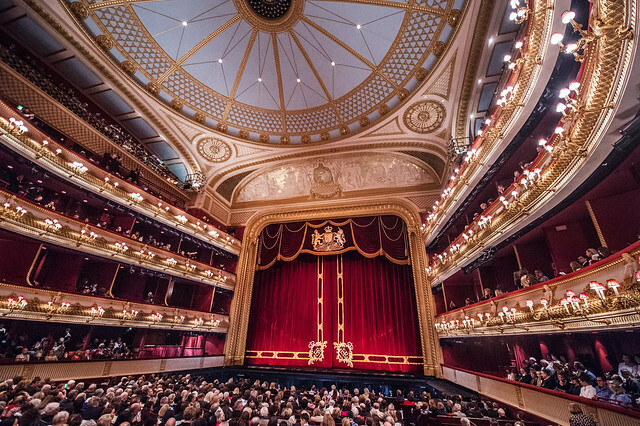 The Royal Opera House have consistently argued against the harmful practices of ticket re-sellers such as Viagogo, who violate the terms of our service and most worryingly, undermine the customer putting profit before consumer experience. Why do you use ticket agents? First I’m pleased Alex Beard and the Royal Opera House have responded promptly to the publicity over Forza and ticket availability. It’s good to see the figures for ticket availability for Spring general booking (62%) and for Forza (17.5%). But I wonder what availability was for the Netrebko/Kaufmann performances - I imagine a lot less than the 17.5% Forza average? 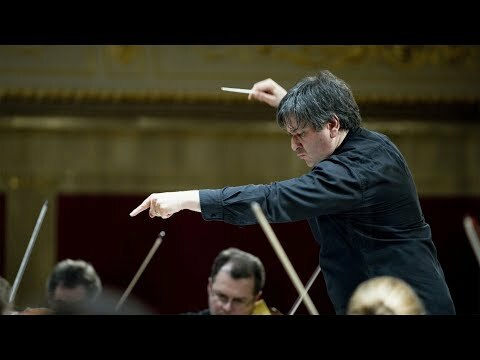 Back in 2000 the ROH made some commitments to the Culture, Media and Sport Select Committee to ensure 20% availability of tickets for all performances and price categories but I’m very unsure what precisely that meant (was it for each performance or an average across a booking period) or whether it is still an objective? I didn’t see any reference to this target in the latest Annual Report. It would be useful to know if there is still a 20% objective and how it is measured. More worryingly, I see your concern about tickets being sold on Viagogo at massively inflated prices but what is the Royal Opera House planning to do? Can you identify tickets for resale and make enquiries with original purchasers of tickets, whoever they may be, and take appropriate action? I wish you well in tracking down where these tickets have come from. Hi Alex. Thank you for stating your position. I personally don’t agree with you. When the ROH books an artist you are paying them a fee and then selling tickets so to harvest a profit. You are essentially exploiting the demand for that artist to sell tickets which is helping to cover your running costs and more. A ticket reseller is doing the same but in a secondary market. When a reseller buys a ticket from the ROH and resells it at an inflated price they are doing several important things. 1. They are helping you to sell out your event. 2. They are helping to create hype about the event as it sells out quickly. Which is useful for marketing and any additional days being announced. 3. It helps the ROH with cash flow as tickets are sold quickly rather than over a long period of time. A ticket reseller is selling a ticket for only the price that someone is willing to pay. If someone doesn’t want to buy it they won’t. So the customer experience is only driven by the customer in their willingness to purchase a ticket. You can’t be serious!!! A ticket reseller is depriving someone that can only afford the official price and making a huge profit from a ticket they have no intention of using themselves. It is true to say the ROH won’t financially lose because they’ve got their money but trying to say profiteering resellers are doing the ROH a favour re cash flow is ludicrous. "When a reseller buys a ticket from the ROH and resells it at an inflated price they are doing several important things." Yes. It's called PROFITEERING. I'm sure the ROH had no need of "help" in selling out the event, creating hype about it and ensuring their cashflow, thank you very much. Oh yes, 17,5 %, I'm sure that the last two least interesting performances of Forza did supply this percentage. 38 % looks like quibbling because it's meant for ALL spring performances and not just for Forza. 500, oh well, not for each performance of course just 50 for each performance. The fact is that there were only a little number of tickets available on January 30 and of course not for performances with AN and JK and they were not just the best tickets, just a few on the Amphi with restricted view. As for Viagogo and other resellers I agree with you but it should be hard to do something against Viagogo because they don't sell tickets, there users are the sellers and buyers. Cannot any way be found of preventing this, eg campaigning for legislation to make the re-selling of tickets for profit a criminal offence? The simple thing that the ROH can do to limit the amount of resales is to restrict the number of tickets for popular productions that members can buy. This has been done in the past, but not on this occasion. Such a measure would of course run counter to ROH's attempts to persuade Friends to upgrade to higher levels of Friendship! Ten out of ten to Managenent for responding quickly to storm over La Forza: but zero out of ten for such a defensive and obfuscating reply. Essentially, people want to know two things. Firstly, why were there virtually no tickets for the key performances put on le when General Booking opened? Most of us had always u derstood that 20% seats were held back for the General Public but this clearly did not happen on Jan 30. There was a scattering of Ampi tickets available butnothing else. Secondly, why in the world did you not restrict th3 number of tickets people could buy? Most International Opera Houses do this with hot tickets and, indeed, ROH did it with Kaufmann’s Othello. These are not hard questions to answer and the more you hide behind meaningless statistics and obfuscation, the more we suspect you have something to hide. I, for one, am deeply suspicious about the 0900 website malfunction at 0900 on Jan 30. Some answers please for your loyal patrons who support you through less star-studded productions. Why does the ROH use ticket agents these days? An expression of grave displeasure is not really an adequate response is it? I should have thought that at a time when the ROH has been at great pains to stress how accessible it is that this is the sort of publicity you could do without as it simply reinforces the idea that the ROH is an organisation run for the entertainment of monied toffs. It is one of those occasions when management must be seen to act decisively rather than simply wringing its hands. What are the solutions? The most obvious one is to try to identify the tickets which are being offered for resale on Viagogo and how they got there. Having identified the ticket numbers cancel them and inform Viagogo that you have done so and that you will do this with every other ROH ticket which finds its way onto the website. by a Friend of Covent Garden. how seriously the ROH takes this infringement of the contractual conditions attached to ticket purchases. In the meantime you need to put someone in charge of ticket sales who has some knowledge of opera and ballet and is able to identify the performances where restrictions on ticket purchases need to be applied and those where they are unnecessary. 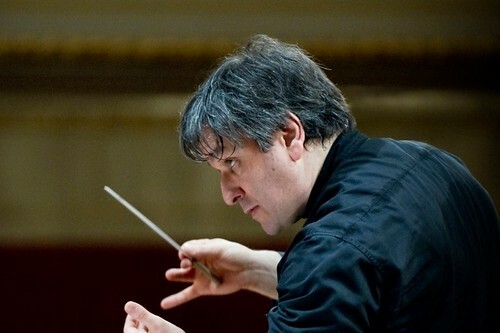 I was amazed that there was no restriction placed on the number of tickets which an individual could buy for the performances of Forza at which Kaufmann and Nebtrebko are expected to sing as anyone who knows anything about opera would have instantly recognised that they would be the most sought after tickets of the booking period if not the entire season. Alison there is nothing wrong with profiteering. What do you think airlines do when they sell tickets at school holiday times. When you sell shares you try and sell them for a profit. Fact of life ! Why not using the system as they have at the Victoria Palace Theatre for the performances of Hamilton: At the entrance of the theatre you have to show the original credit card used for the booking on the website. They swipe your card and the tickets are printed. At that moment you're in the theatre with your tickets. Of course there are always loopholes for touts to resell at a rediculous price, but at least you can diminish the risk. Because that's a ridiculous system and for that reason, I won't watch Hamilton again - not even if friends gave me a free ticket to go with them. The queues (in the rain and cold) when you have legitimately bought tickets and organised your poor relatives/guests/etc to wait for everyone to turn up together is pretty dire when you are honest and just want to get into the theatre [that you have paid £50 per person for, just to be able to see without a restricted view] is insulting. Of course they won't miss us as plenty of people will pay to queue again and see the show. But this system won't work for less hyped but equally important and better [quality than Hamilton - sorry, Lin Manuel Miranda, but true!] works that may not be populist but need to be performed and seen (and that fans do want to see). And frankly, even if it's my third or thirty-third viewing of Tosca or Giselle, or the first night at a new McGregor ballet or Benjamin opera, I still want to be able show my ticket, get the security bag search done in 30 seconds and get to my seat without an irritating half hour queue outdoors. Is there a requirement to ensure 20% of tickets are available for purchase when general booking opens for each performance? Or is this an aggregated target where an average is taken over a booking period? What %age of tickets were available for general booking for the 4 Netrebko/Kaufmann performances? Why was no restriction put on ticket purchases for Patrons/Friends? What are you doing to take action against anyone who has put up tickets for resale on secondary sites? And why do you use ticket agents? I’m afraid that unless you provide a proper response to these questions, your prompt news release and video clip will count for little. And to be honest all the questions posed should have been anticipated and answered in your news bulletin. I cannot but agree more with Clare and Penelope Simpson. It is an absolute disgrace. I have organized my Birthday trip from the US to be there for the performance on the 5th of April, got promptly on the internet in the wee hours of the 30th Of January only to find out that the performance is sold out. And, not only the one on the 5th, all the key ones. It is my friends from London who have frantically searched to get me/us the tickets and who, subsequently sent me the ES article by Robert Dex on what happened. Just stop/prevent resellers’ and Viagogo’s tickets to be used as valid and sell the tickets as they should be sold, by the ROH. You still have plenty of time. Bayreuth knows how to handle this. You are WARNED that the purchaser of the illegal ticket will be forcibly removed from their seat AND banned from Bayreuth for LIFE. It works. The fundamental question, not addressed here by anybody, is whether the House's - indeed, any house's - stated conditions of ticket sale are legally enforceable. If they are, then enforce them against the original purchaser, easy enough with modern computer booking systems which can instantly identify any given seat's buyer. If they are not, two things: campaign noisily to have them made so; and use the existing conditions to block offending bookers from doing so again by banning them - something which theatres can do perfectly legally already if they so choose - and refunding the membership fee to forestall any further action (Glyndebourne has done this I know, and at a surprisingly elevated corporate level what's more). I have just been to the Viagogo site (for the first time) and note that the tickets for sale are quite closely identified. Surely, therefore, tickets sold to Patrons, all levels of Friends, and during Public Booking could be put under a sufficient microscope for the ROH to get a handle on who is 'on-selling' at these inflated prices? When I was looking at a particular Forza date, a message flashed up to tell me that someone from Sweden (I think) had just purchased a ticket. So one of the factors here might well be the level of demand coming from abroad and Viagogo and the original ticket buyers are tapping into that. If there is money to be made, I want to see it going to the ROH itself not to people or agencies who are 'on the make'. This statement is somewhat disingenuous considering it disguises the lack of tickets for the most popular shows being made available during general booking. Moreover it fails to address, still less apologise for, the key issue which is that there was no ticket restriction on these performances. This is an open invitation to racketeering. I don't wish to suggest conspiracy where some other explanation (utter incompetence) will do but the fact that popular shows in the past have almost invariably had limits imposed does rather make it unlikely to have been an oversight. But why would ROH management want to create a scandal by making tickets available to touts in this obvious way. I'm generally mystified and (like others here) would really like an official explanation for this, please. I do think you owe it to your loyal patrons to explain what happened here. Properly explain - this statement does not in any sense constitute an explanation, I'm afraid. Either this is incorrect or your maths are dodgy. There were NO tickets for the Kaufmann/Netrebko dates on sale in the Stalls/Grand Tier/Stalls Circle on the day they went on sale to the General Public. I presume you are saying that these hot dates went to the Friends and the 17.5% were all for the other dates? Why don't you just tell the truth. I did not try to book tickets for La Forza. It was not worth the hassle for a mediocre opera, albeit that there is a great cast for some performances. However, I have read the above comments with interest. There are many valid critisms which have not been addressed by the Management. The last post is dated 8th February yet there is still no response. This is rather shoddy treatment of your loyal and disappointed patrons. Agree with Patricia. I am a friend card membership holder and I opted-out not to book tickets for La forza. The opera is mediocre or even not interesting enough to me. Of course the cast is shining. I can understand the frustration for fans. I feel astonished that ROH did not put limit on number of tickets to sell to members. I think that at least there should be a limitation on online advance purchasing before the general booking. And if a member really wish to bring the whole family, she/he should make the booking in booking office in person. Well, perhaps the Royal Opera House should also ensure that no tickets are sold to ticket agents such as Ticketmaster - I would like to see this enforced by all theatres including the West End and concert halls (it might be different for pop music) - for ballet, opera, classical music, plays and musicals. The training of musical, dance and theatre performers in this country is subsidised by the taxpayer - from the person who cleans floors and the teams who empty rubbish bins, to the primary school teacher to the fireman to the bus driver. Not just rich CEOs or successful bankers. The only institution or people who should profit from any ticket sales are either the performance venue (to pay their staff and keep facilities well maintained) or the taxpayers who paid for the training of the artists who form the backbone of the corps or choruses, or the orchestra in the pits and the troupes that put on classics and hit shows on stage for audiences to enjoy. If you must have ticket agencies in the West End or in the nation (eg Glyndebourne and Edinburgh Festival included) to cater to patrons who can only get tickets at the last minute and don't mind paying extra for the privilege, then set a national ticket agency where profits go back into the venues or the training of the performers, and not some profiteering company whose only costs are computers with multiple screens to buy up tickets and deprive real fans from getting affordable seats at decent locations. I don't use Viagogo but I have seen them used (not at the ROH) when the tickets were sold at a significant discount for a show that wasn't sold out - they originally belonged to people who couldn't make it to the performance and passed them to fans at a loss rather than a profit. On the other hand, I have seen ticket agencies sanctioned and allowed by ROH and West End theatres making a huge profit on ticket sales to unsuspecting buyers who were upset to find that 15% to 20% of the expensive cost was a markup. I managed to buy tickets to La Forza del Destino at the normal ROH prices - it certainly wasn't sold out. Mind you, I wasn't looking for Grand Tier seats. I would rather spend the money on more performances! I have yet to see any show at the ROH completely impossible to purchase tickets for - you might have to book early, book in a package or be limited in terms of which date to attend or which area to sit in, but you will always be able to see a particular cast you want. With internet and a credit or debit card, no ROH customer should have to use a ticket agency of any kind and I would really urge all audience members not to.